MANAMA – The Royal New Zealand Navy assumed command of Combined Task Force 151 (CTF-151) yesterday. 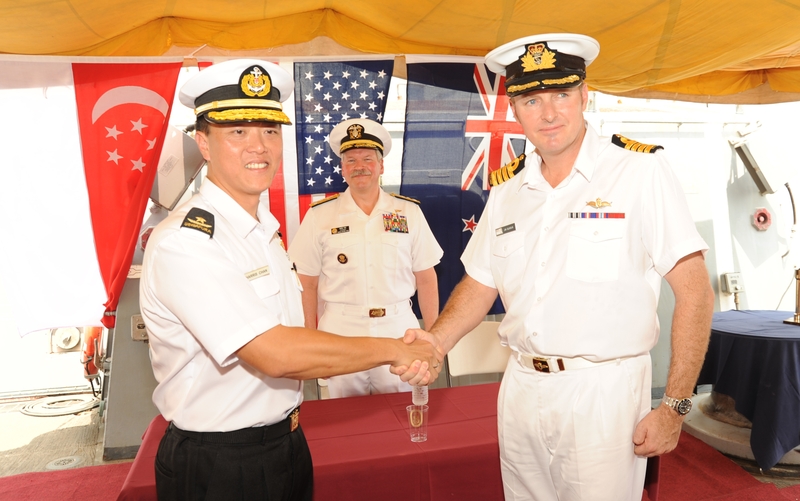 Rear Admiral Harris Chan Weng Yip from the Republic of Singapore Navy was relieved by Captain James Gilmour of the Royal New Zealand Navy at a formal ceremony aboard the USS Mason at the naval port facility in Djibouti. CTF-151 is a mission-based multinational counter-piracy task force for Combined Maritime Forces which includes Republic of Korea, Turkey, Singapore, New Zealand, UK and the United States. This is the first time that New Zealand has led CTF-151.